American humorist Will Rogers is often quoted as saying, “Buy land. They aren’t making any more of the stuff!” The Army is not finding that quip quite as funny as it once was, as the number of troops returning to their home stations puts a serious strain on the available training space. 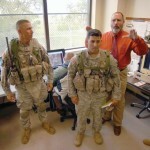 While the Army was heavily deployed in Iraq and Afghanistan, a typical Army post had most of its units in combat, leaving the pre-deployment units back home with ample space to conduct live training. Today, that situation is reversed, which is creating competition for the limited space in live training areas. At Joint Base Lewis-McChord, Washington, for instance, the available maneuver space limits live training to one brigade at a time. That means the seven brigades stationed there don’t have enough land to hone their skills for joint missions. If Rogers were alive today, he might be inclined to gloat about his statement of the obvious, but “land” isn’t just acreage anymore. Rogers had no way of knowing in the early 1930s that, 80 years later, technology would allow the Army to create what it calls “digital dirt,” thus allowing commanders to significantly increase training space for the battlefield of tomorrow. 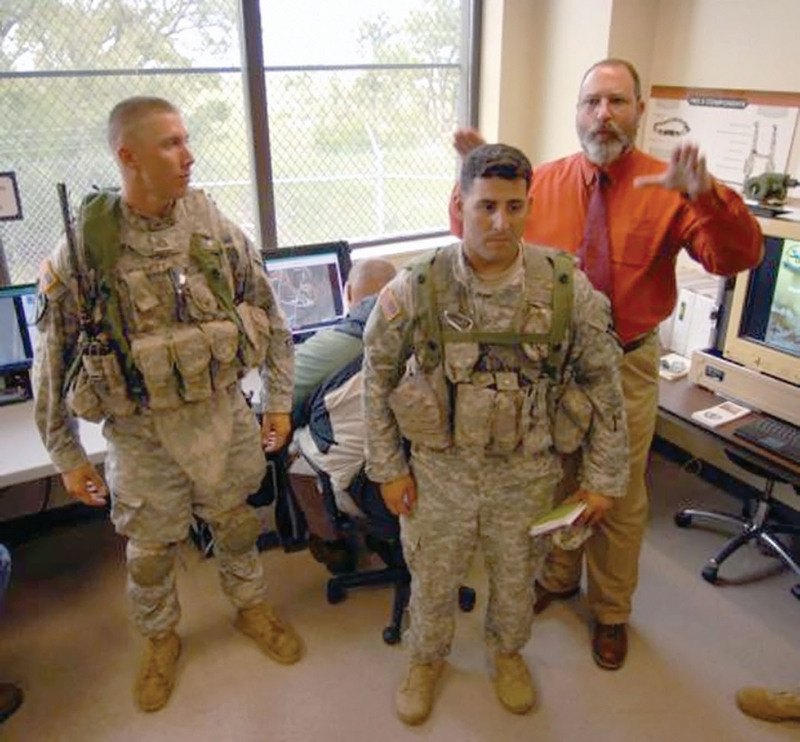 The use of digital dirt to greatly expand training space first became an option in October 2012, when the 2nd Brigade Combat Team, 1st Cavalry Division tested the Live, Virtual, Constructive – Integrating Architecture (LVC-IA) at Fort Hood, Texas. By integrating the virtual element (a real person in a simulator) and the constructive one (computer-generated forces and environments) into live training assets, commanders; need less ground to train on because they can expand their battlespace with a synthetic environment, thus allowing more units to be trained while on home station. Before the introduction of LVC-IA, managed by the Program Executive Office for Simulation, Training and Instrumentation (PEO STRI), commanders could blend the three training tools in their exercises, but the Soldiers on the ground operated independently of the virtual and constructive assets. LVC-IA technology allows aircrews, for the first time, to do air-ground integration with the live forces and other virtual simulators, creating a combined arms training environment. 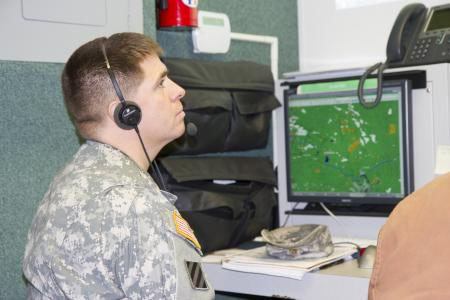 It accomplishes this as a system-of-systems providing a net-centric linkage that collects and exchanges data among existing training aids, devices, simulations and simulators for both joint and Army mission command systems. It provides hardware and software to interface with and stimulate the various LVC communication protocols. The testing of LVC-IA at Foot Hood marked the first time that commanders up to brigade level were able to oversee and direct mission planning and rehearsals using LVC assets that could communicate with one another. LVC-IA provides such a realistic common operating environment that commanders cannot distinguish their live assets from virtual or constructive ones. 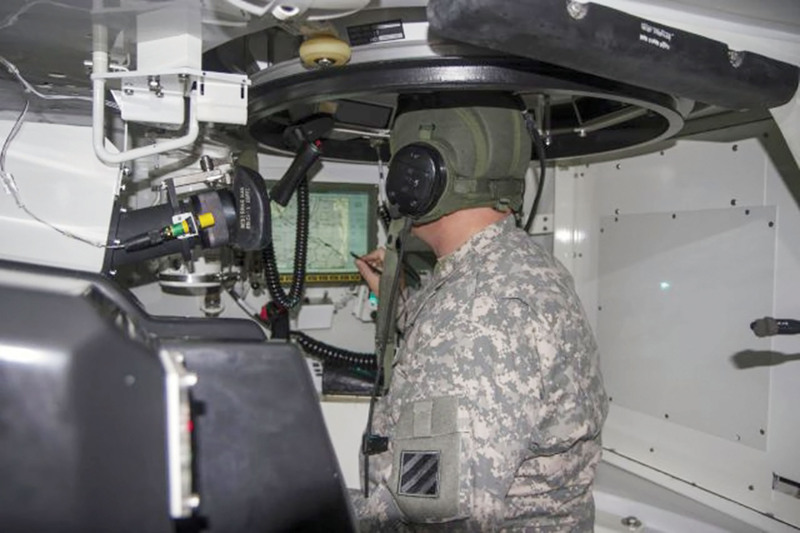 During training exercises, with the LVC-IA “stimulating” the mission command system, commanders will be controlling the exercise using Soldiers in the field; Soldiers using simulated equipment; and semiautomated simulated forces. They will all appear as live entities on the common operating picture. As an example, when directing use of aviation assets during a training mission, the commander doesn’t know if a pilot reacting to his orders is in a real helicopter or the Aviation Combined Arms Tactical Trainer (AVCATT) simulator. AVCATT, which provides the virtual air asset to the commander during mission rehearsal, replicates the cockpit environments of the Apache attack helicopter; the Kiowa observation and direct support helicopter; the Black Hawk troop transport, resupply and combat assault helicopter; and the Chinook heavy-lift transport helicopter. This allows the commander to use any mix of these helicopters to match mission requirements. AVCATT crews wear helmet-mounted displays for “out-the-window” realistic virtual environments. They engage with threat or friendly semiautomated forces that are integrated through constructive simulation. That is where constructive simulation plays such a large role in LVC-IA. During training at their home stations, because of space limitations and their given landscape, commanders can’t always replicate the operational environment for which they are training. 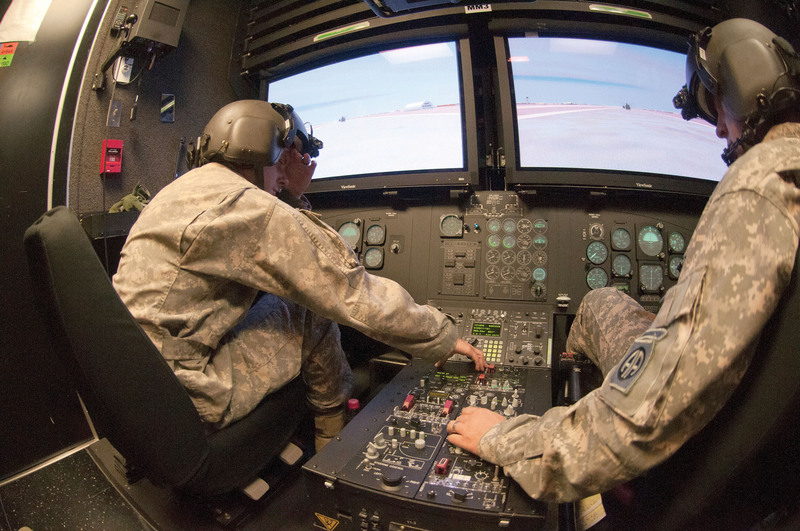 Incorporating constructive simulation in training exercises can add those realistic conditions in their virtual training simulations and through their mission command systems. As the Soldiers look through their helmet-mounted displays or out the windows of their virtual ground trainers, the terrain, weather, buildings, equipment, weapons and other aspects of the battlefield come to virtual life through constructive simulation. When employing LVC-IA, commanders determine at what level (company, battalion or brigade) they want to run a training exercise based on their mission training objectives. They also can determine what combination of live, virtual and constructive simulations and simulators they need based on their training objectives. 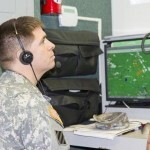 Through coordination with the home station’s mission training complex, the unit coordinates availability of the live, virtual and constructive assets, connectivity to the training aids, devices, simulators and simulations being used, and the resources available to support the training event. The scenario developed as a result mirrors the operational environment in which the unit would conduct the actual mission. Once all of the training assets are in place, the commander issues an operations order to the lower-echelon commanders, and the training exercise begins. The exercise can last hours or several days, based on its size and how it progresses. LVC-IA facilitates training exercises lasting up to four days. 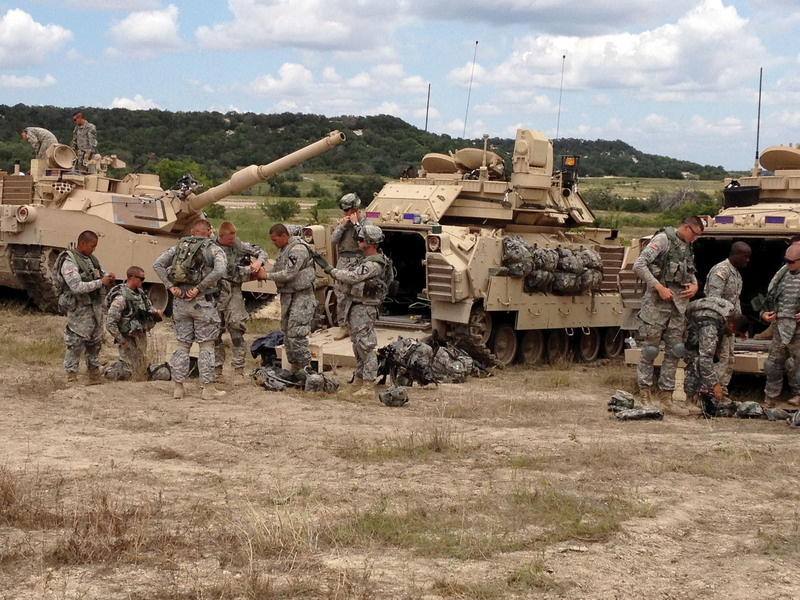 After the exercise is over, LVC-IA provides commanders consolidated after-action reviews. Plans for fielding version two of LVC-IA in the second quarter of FY15 include the gaming capability as well as the means to conduct joint exercises with units located at other bases. The development of LVC-IA technology will continue to focus on the seamless integration of Army training capabilities to achieve the objectives of the Integrated Training Environment. In addition, it will continue to support and be concurrent with the evolution of mission command systems critical to the conduct of unified land operations. A measure of LVC-IA’s success is that it is now in use at Forts Hood, Bliss, Campbell, Stewart, Drum [New York] and Riley [Kansas]. Joint Base Lewis-McChord can expand its training capabilities when it receives LVC-IA in FY15. For more information, contact Richard Link, PEO STRI’s assistant product manager for LVC-IA, at 407-384-5214. COL. WAYNE EPPS is the project manager for constructive simulation at PEO STRI. He holds an M.A. in procurement and acquisitions management from Webster University’s Walker School of Business and Technology and a B.S. in economics from Willamette University. He is Level III certified in contracting and in program management. This article was originally published in the July – September 2014 issue of Army AL&T magazine.